As I type this sentence, ESPN’s assorted TV networks are showing The Masters Golf Tournament and the NCAA Frozen Four hockey semi-finals, two sporting events I wouldn’t mind watching. Unfortunately, I’m staring at a computer display, not a TV monitor, and so these inticing broadcasts must go unwatched. That simply won’t do, ESPN has decided. On Thursday, the Worldwide Leader in Sports announced a new mobile app that will let you stream live ESPN broadcasts to your iOS device—provided you’ve got the right cable provider. The newly unveiled WatchESPN promises round-the-clock access to live feeds from ESPN, ESPN2, ESPN3, and ESPNU. That means if you’re nowhere near a TV set on Sunday night, but you really want to watch the Red Sox-Yankees game, you can simply launch the free app on your iPhone, iPod touch, or iPad, and take in the broadcast live from Fenway Park. There is a catch: WatchESPN only works with select cable operators. Specifically, only Time Warner Cable, Bright House Networks, and Verizon FiOS TV subscribers can take advantage of the app. 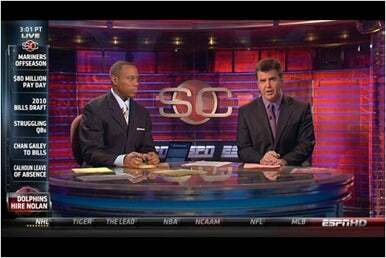 ESPN is more concrete about its plans for the iPad. While WatchESPN will run on Apple’s tablet—and indeed, any iOS device running iOS 4.0 or later—the app is not optimized for the iPad. That version will be coming as a free download in May.